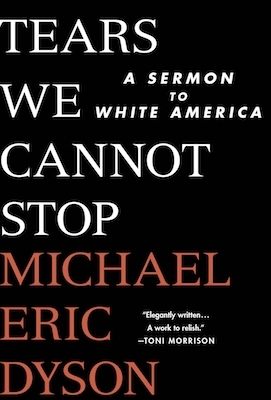 On January 17, 2017, eighty-eight years after the birth of the most revered civil rights leader in the 20th Century, Georgetown University scholar, social activist, reverend, and best-selling author Michael Eric Dyson describes in his new book, Tears We Cannot Stop: A Sermon to White America, his assessment of the legacy of Dr. Martin Luther King for our generation. He also describes for BlackPast.org why he was inspired to write Tears We Cannot Stop, a book that all Americans who care about the current and long-burning crisis in race relations will want to read. We at BlackPast.org appreciate Dr. Dyson’s willingness to share this special discussion of his new book with our audience. Martin Luther King, Jr., is the most quoted black man on the planet. His words are like scripture to you and, yes, to us too. His name is evoked, his speech referenced, during every racial crisis we confront. He has become the language of race itself. He is, too, the history of black America in a dark suit. But he is more than that. He is the struggle and suffering of our people distilled to a bullet in Memphis. King’s martyrdom made him less a man, more a symbol, arguably a civic deity. But there are perils to hero worship. His words get plucked from their original contexts, his ideas twisted beyond recognition. America has washed the grit from his rhetoric. Beloved, you say you love King, or at least admire him, but we don’t really know him, not the King who was too black and too radical for most of America. King drank from roots deep in black culture. He bathed in black language. He sprang from a black moral womb. Black teachers and preachers shaped King. They gave him fuel for his journey and the inspiration to change the world. King told the truth about you in black America, to black America, in ways he couldn’t tell you. He said the toughest things about you in sacred black spaces. He did it because he felt safe with us. He did that to let us know that he knew what we were up against. He did it to let us know we weren’t crazy. If the most celebrated black man on the globe could feel the way he did, then we had every right to feel the same way. That didn’t make King a Janus-faced liar. He was, instead, a man of noble forbearance. He understood what white folk could hear; he knew what you dared not listen to. He knew what you could bear to know. He understood the white psyche and when and how to pressure you to do the right thing. Early in his career King believed in the essential goodness of white America. He trusted most whites to put away their bigotry in the face of black suffering. In the last three years of his life he grew far more skeptical of the ability or willingness of white folk to change. He concluded, sadly, that most whites are unconscious racists. In sermon after sermon before black congregations, King lashed out at American racism. I know his words may surprise many of you. You may be tempted to dismiss them as the rants of a man gone off course, of a soul made black by bitterness. But they are the words of the greatest American prophet. This is civic Holy Writ; this is political scripture. They are the sentiments of the man whose carefully selected words grace his national memorial and fill the innocuous speeches of countless dignitaries. King’s soul was indeed black, but it was made beautifully black by the culture that produced him, a culture of proud, loving, loyal, complicated blackness, a blackness that is often hidden from mainstream view even to this day. Let us now read from the Book of King. That is why King is important to this generation, to this time, to this nation, to our people. He spoke the truth that we have yet to fully acknowledge.